Somewhere along the way, chocolate became a Valentine’s Day gifting staple. But those of us who aren’t anticipating a luxe box of truffles needn’t feel left out. Of course, we could buy bonbons for ourselves — but why not indulge in something that lasts much longer: chocolate-infused skincare? According to Natalie Pergar, Product Knowledge Specialist and Lead Skin Care Trainer at Éminence® Organic Skin Care, “Cocoa is rich in antioxidants and flavanols, which work wonders for [protecting and] smoothing your skin.” Antioxidants are an essential part of any skincare regimen as they help defend your complexion from free radicals, which are responsible for premature aging (including fine lines and wrinkles). As for flavanols, they are a type of plant-derived nutrients, and cocoa is particularly rich in them. When consumed, they’re said to promote better cognitive function. “Plus, cocoa smells delicious!” adds Pergar. (And isn’t the sensorial experience half the fun?) Below, five skin treats that will rival any old box of sweets. The Eminence Organic Skin Care Chocolate Mousse™ Hydration Masque ($52) serves up a healthy dose of vitamins E and C. Its velvety softness can be attributed to three types of oils, making it the perfect skin softener when you need it most (cold February temperatures, we’re looking at you). 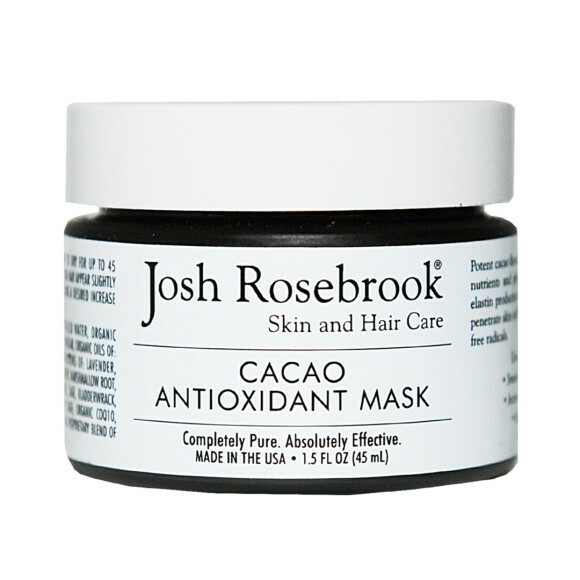 The Josh Rosebrook® Cacao™ Antioxidant Mask ($99) is so clean, you could practically eat it (but please refrain). Like a superfood smoothie for your skin, the 100 percent natural formula contains ashwagandha, turmeric, and goji berry — among a melange of skin-softening oils. The result: decongested skin with a side of softness. Too Faced® could have easily created chocolate-scented products devoid of the actual ingredient. Instead, the brand mixed real cocoa into its Chocolate Soleil Matte Bronzer ($30). Despite its lavish packaging, the formula is relatively subdued: a shimmer-free, matte finish that can fake a believable bronze (even in the middle of winter). 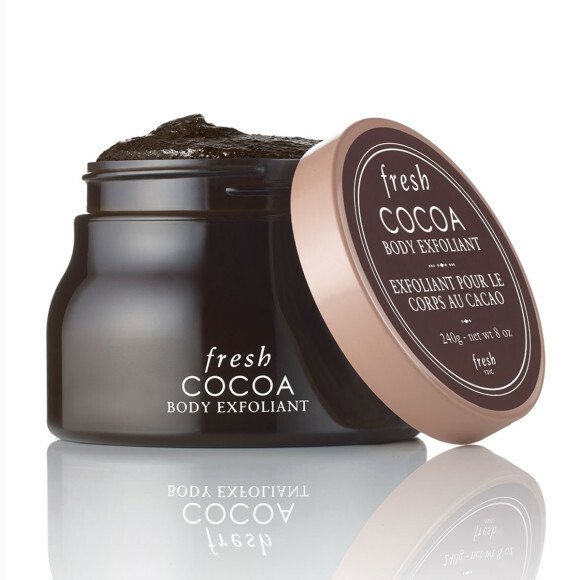 Spoon the Fresh® Cocoa Body Exfoliant ($45) into a bowl, and you might just mistake it for pudding. And while it’s not edible, it smells just as divine (and is ideal for fans of deep, dark chocolate). This cocoa butter-based scrub turns your shower into a chocolatey oasis that could rival Willy Wonka’s. So the Sakara™ Beauty Chocolates ($45) aren’t exactly topical skincare treatments, but they are created with your skin in mind. Each piece is loaded with plant-based phytoceramides, which are said to support collagen production. Not to mention, they taste fantastic.